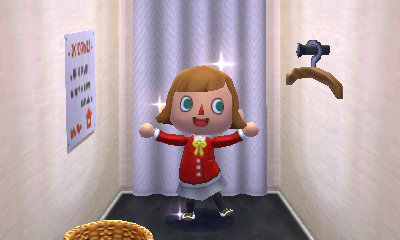 As an employee of Nook’s Homes in Animal Crossing: Happy Home Designer, you cannot change your shirt and must stay in the proper Happy Home Academy jacket uniform. However, that doesn’t mean you can’t change everything else! 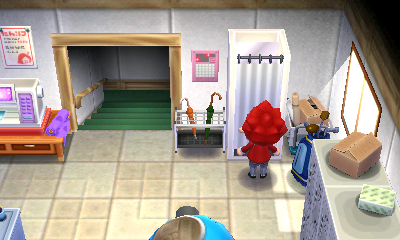 Head to the second floor of the Nook’s Homes building and enter the changing room in the top right of the room to change your clothes, plus other accessories. Want to change your appearance, like face or hair styles? Use the Styling Machine! Clothing and accessories are unlocked as you play through the game to complete homes and public facilities, just like furniture.  Different characters will give you different items to match their personality or requests.